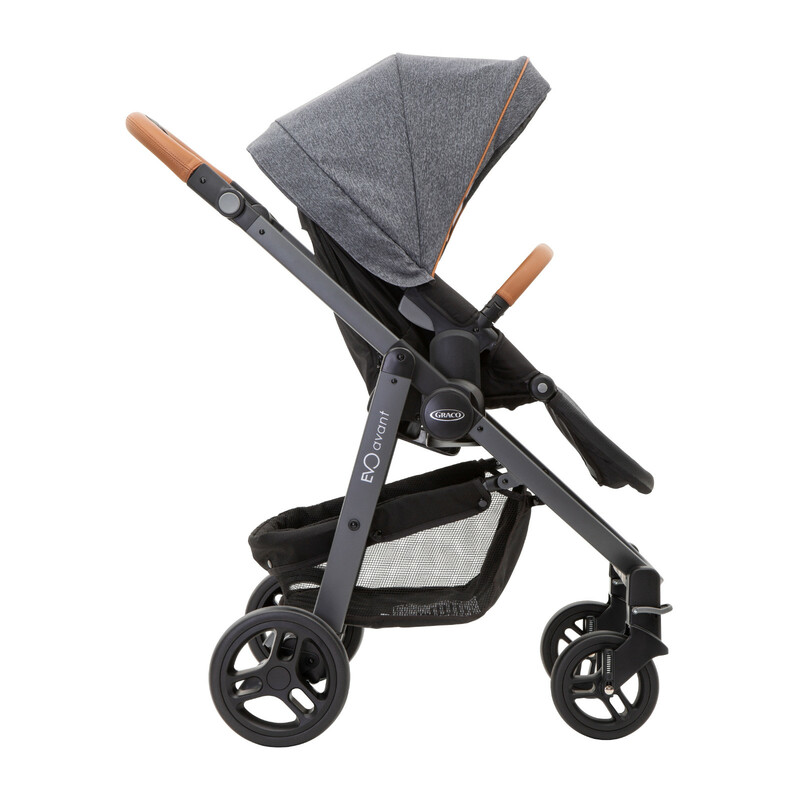 The stylish and luxurious Graco Evo Avant comes with a large, comfortable, fully reversible seat unit which gives you the option of having your child either facing you, or facing forwards. 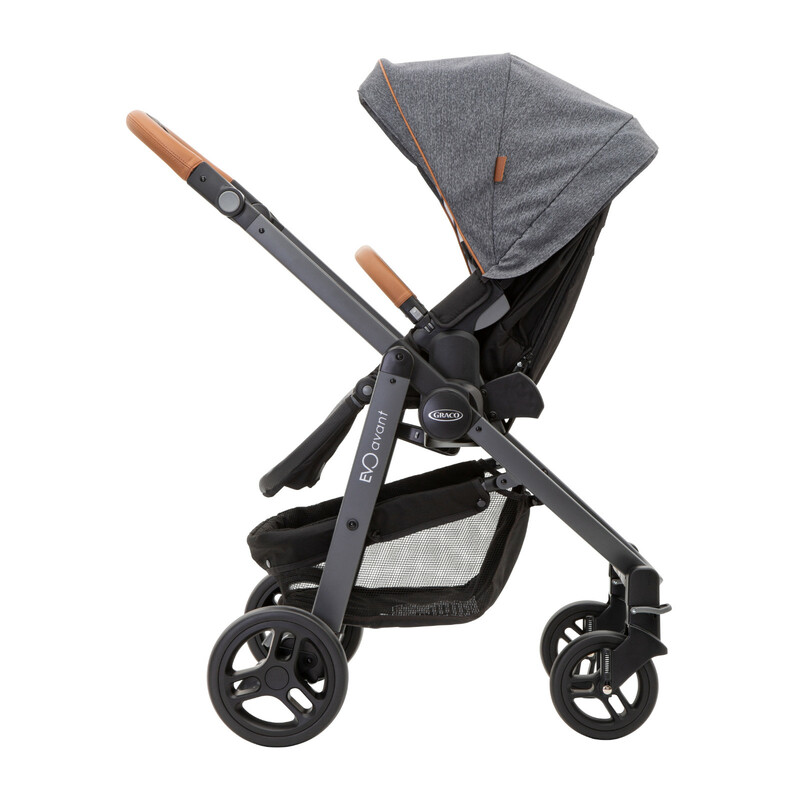 Reclining to 3 positions, the Evo Avant has a completely lie-flat option which is suitable for newborns. 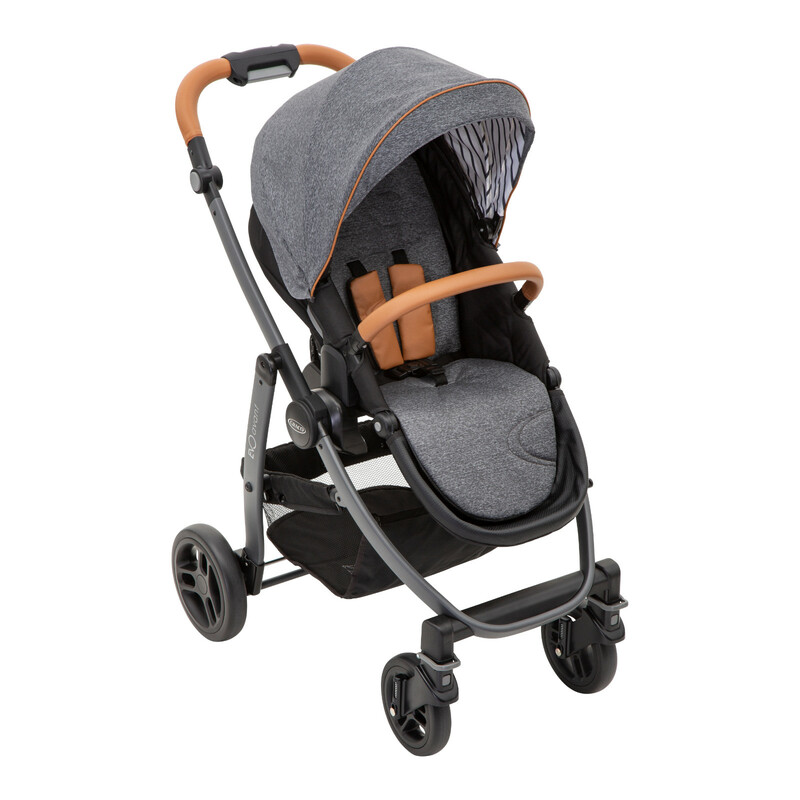 It also features an adjustable calf support to ensure growing children are always comfortable. 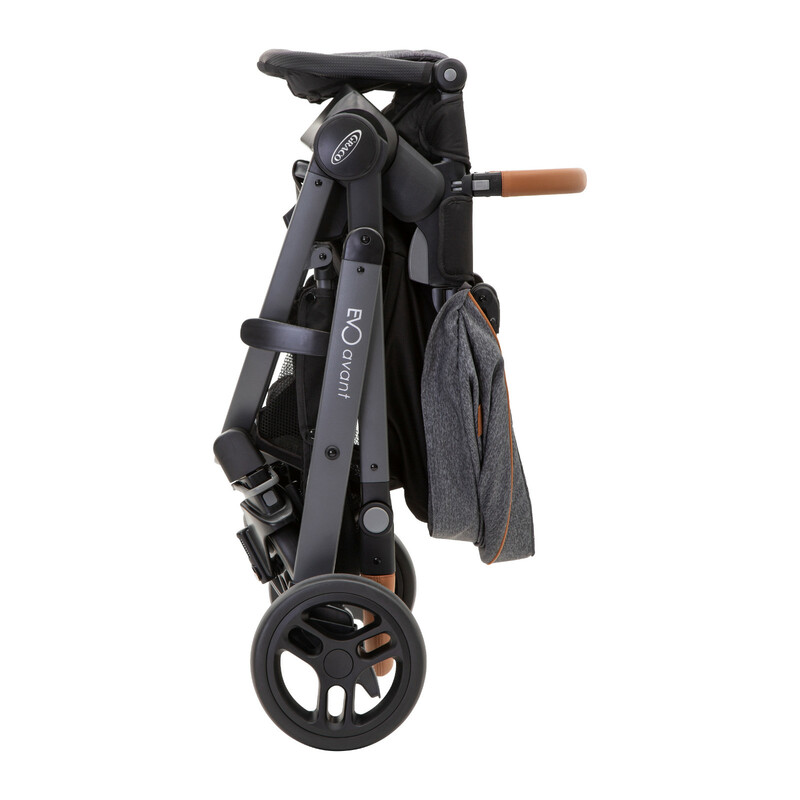 With front lockable swivel wheels, the stroller can be used on smooth or rough terrain, which is great for urban exploration. 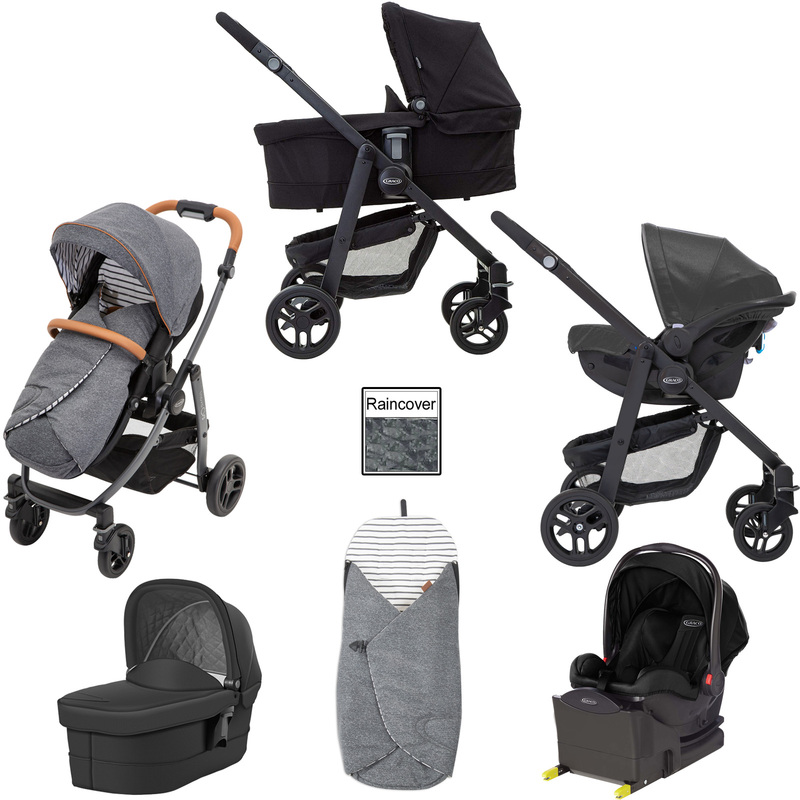 It can also be converted into a comfortable lie-flat pram for younger babies by easily attaching the Graco Evo carrycot (included) to the chassis, or by adding the Graco SnugRide car seat (included), your pushchair transforms into a complete travel system with no adaptors required. 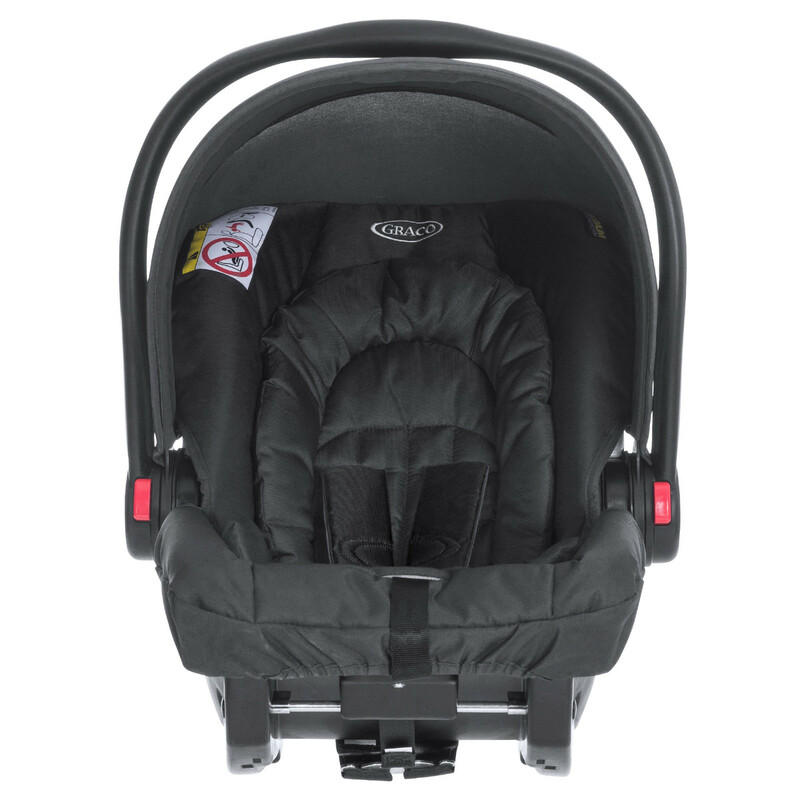 Compliant to the the i-Size safety regulation, the Graco SnugRide Car Seat & Isofix Base is suitable from birth and provides exceptional levels of safety when venturing out in the car. 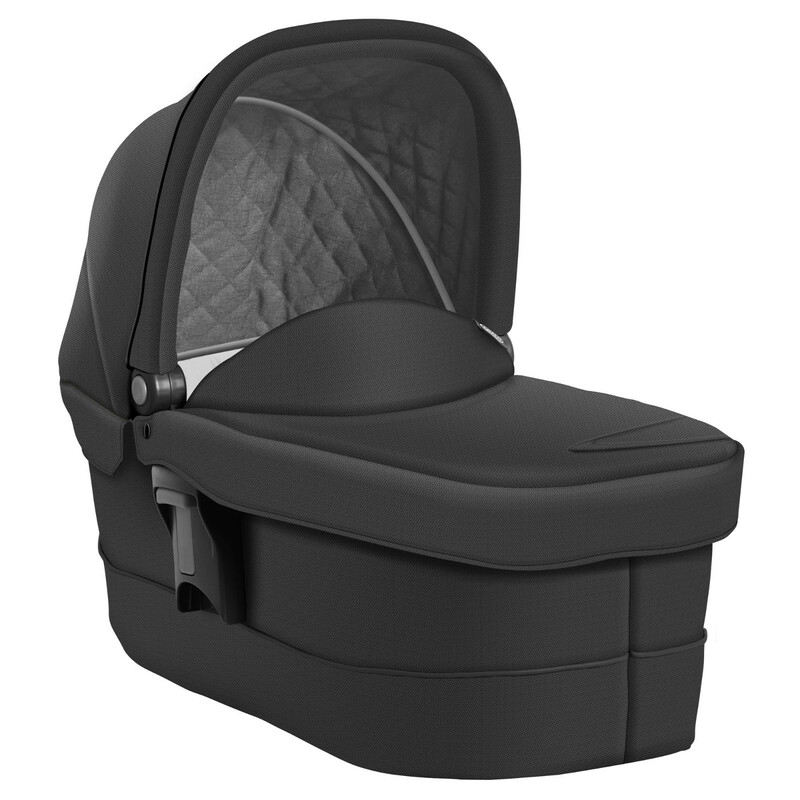 Providing rear-facing protection for newborn babies up to 18 months, the Snug Ride features a comfortable seat and a no-rethread harness which allows you to adjust both the harness and headrest together as your child grows, with no time-consuming rethreading required. 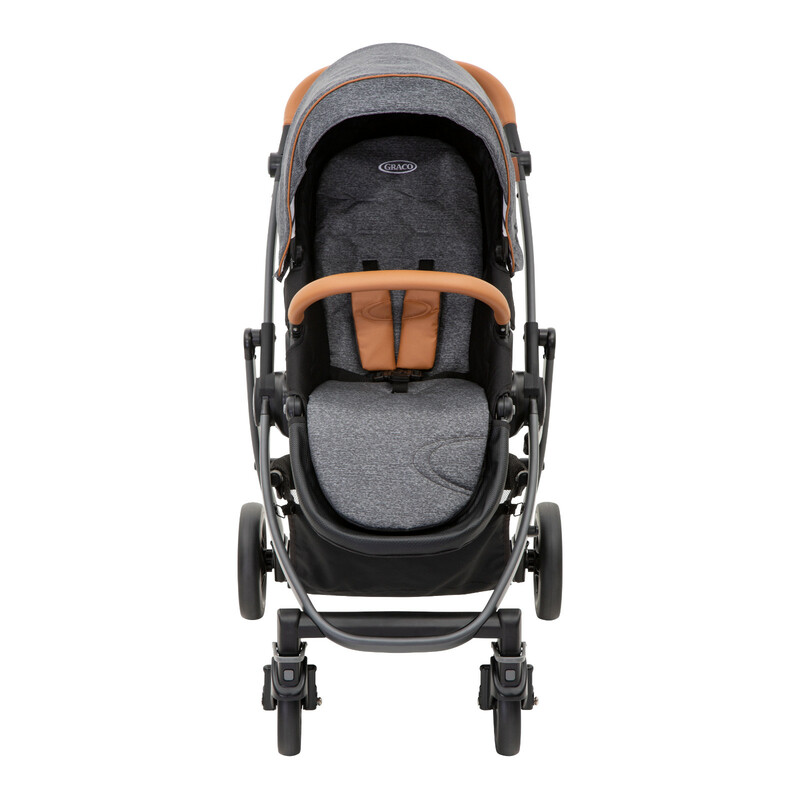 SnugRide i-Size is equipped with Click Connect Technology which provides a secure one-step attachment to all Graco Click Connect strollers. 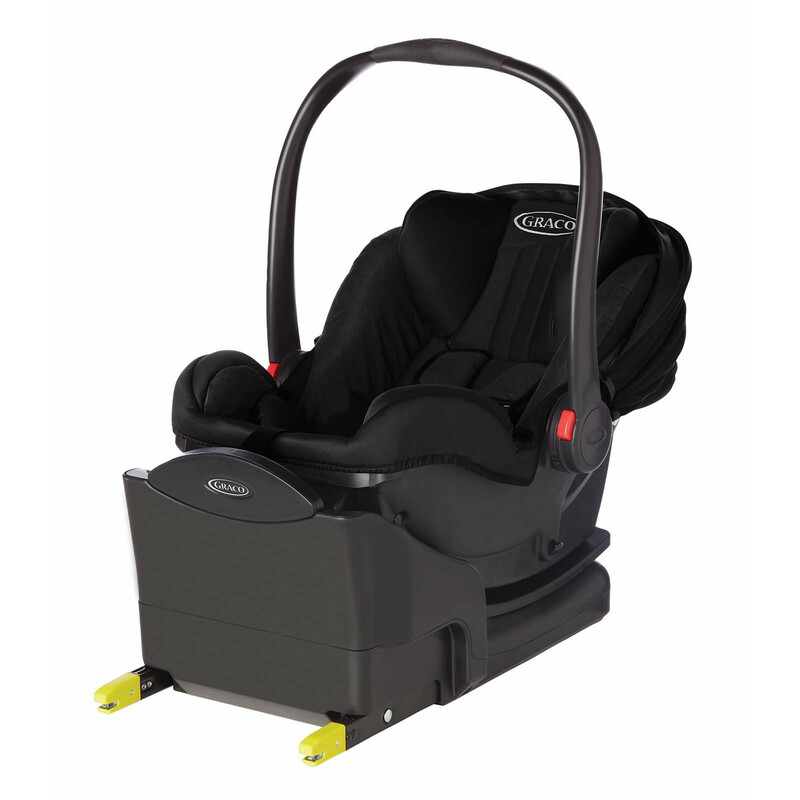 The 7 position adjustable base is equipped with Isofix connectors for a quick, easy and (above all) reassuringly secure in-car installation.